Now that it is September the trees are no long quite as green as they were last month. Some leaves are even falling. No frost at night, not yet. But it is time to begin the seasonal changeover from gardening outdoors to gardening indoors. How else am I to survive the winter season, if not for a house filled with plants. It was not always thus. I used to buy plants, only to have them languish, diminish, and die. But I've been at this gardening addiction for many, many years, and plants do much better now. The wonderful thing about gardening is that it is the never-ending story. There is always more to learn as we set foot on the garden path. And, there are always new gardeners coming along behind us. While it is true that experience may be the best teacher, here's encouragement in the form of a basic book. 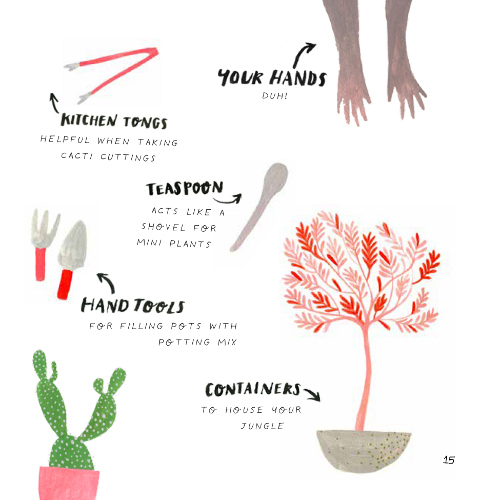 It will help the novice gardener start to grow house plants and discover just how much fun indoor gardening can be. Where to begin . . . Maybe it was an impulse purchase - you were grocery shopping and the flower department had some cute plants. So you bought one and are now faced with keeping it alive. Page turning some glossy magazine and see a two page spread of some charming cottage, with a few plants as accents on a buffet / table / bench / whatever. You're hooked. But you don't want to be what Annie Dornan-Smith calls "a serial plant murderer . 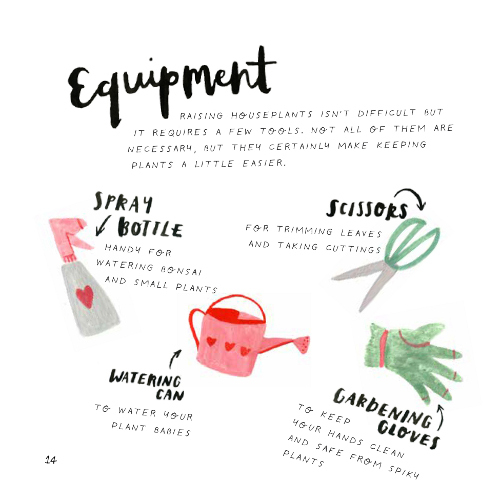 . ." Clearly intended for the novice indoor gardener, this sweet book is definitely novice-friendly. Minimal text and simple illustrations dance across the page. There are various tips and suggestions for what you need to successfully care for your houseplants. Simple tools, various potting mixed - all purpose, cacti and succulents, different pots and containers - Annie Dornan-Smith starts at the very beginning. How to recognize overwatered or underwatered plants, and the very basics of fertilizing houseplants. She keeps the focus on foliage plants, sensible as flowers come and go but with the right plants, leaves are attractive year round. Different plants have different requirements, so there is discussion of the different options for north, south, east, west windows. Which plants need shade, which require more sunlight, and even a section for those house plants that can tolerate some abuse. Simple one-page illustrations for various plants have common name, Latin name, and a brief sentence with short, basic tips for their care. This is a basic, not overwhelming little book for the novice gardener looking to add some greenery to their home.